The RF external antenna adapter for the Verizon UM150 USB modem(UTStarcom/Pantech PX-600) is part number 359921. The recommended external antenna for the UM150 USB modem is the ARC Wireless desktop antenna. For added reception we recommend the MB825 High Performance Multi-Band directional yagi antenna coupled with a section of low loss 50 ohm coax cable. wpsantennas.com is proud to introduce the ARC Wireless All-in-One Freedom Cellular Antenna® ARC-FR0803R01. 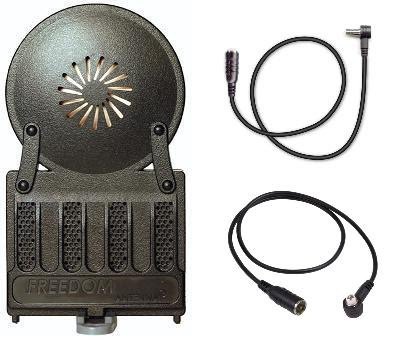 The All-in-One Pack consists of the ARC Freedom desktop cellular antenna and two RF external antenna adapters (359909 and 352015). The external antenna pack is compatible with over 200 cellular phone models from Motorola, Samsung, HTC, Sharp, Mitsubishi, Pantech, Audiovox and LG. The cellular antenna and adapter combination was recently featured in the November 2007 edition of Popular Mechanics magazine. The External Antenna adapter for the Palm Treo 700p is part number 358503 and is now available at wpsantennas.com. The new adapter is .003 inches larger in outside diameter and connects firmly to the external antenna port on the Treo 700p. The 358503 adapter has a black sleeve compared to the 358502 which brands a white sleeve. the R F adapter port is the same as the V3 RAZR. We have an RF adapter for the LG VX8350 in production now and should have it available in early December. The external antenna adapter port on the LG VX-8350 is located on the side of the phone. This adapter will enhance the reception of the LG VX 8350 by connecting the pictured antenna adapter to a magnetic mount antenna like the AA-012 or the AA-532. For home use, we recommend the ARC freedom desk top antenna. wpsantennas.com has been notified that the 359915 RF adapter that Wilson recommends for the VX-8350 has been damaging phones do to the fact that the adapter is too long and sticks out too far causing damage to the port.